Plot Summary: 11-year-old Tsubasa Ozora transfers to his new school where quickly he becomes the star of the school`s soccer team. His Brazilian coach, Roberto Hongo, notices the potential of the young athlete and soon offers him a chance to come with him to Brazil. 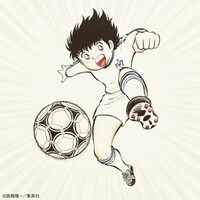 Young Tsubasa trains more and more and with each passing game is more confident about his abilities. Old enemies become his friends and the World Cup seems closer and closer for him.